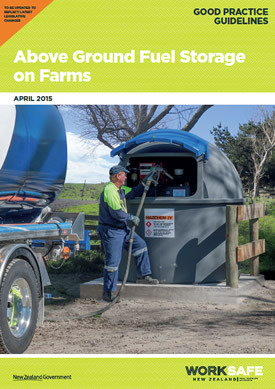 At Sebco we manufacture and supply New Zealand's leading range of tanks for farming and industry, for the storage and dispensing of diesel, diesel exhaust fluids (such as AdBlue®, GoClear®, Alliedblue®, Z DEC®), and waste oil. Our Diesel Stations are the only EPA compliant plastic bunded diesel tanks in New Zealand. Our units are clean, safe and secure systems. They are HSNO Act compliant, manufactured to an EPA approved Code of Practice, and are safe for the user and the environment. Their robust quality construction resists accidental damage and will never rot or rust in even the most demanding of locations. They are fitted with quality components that complete the product. All units are easy to install, fill and dispense from, minimising risk when dealing with hazardous substances. The Sebco range is made from specialised polyethylene and is rotomoulded to stringent ISO-9001 standards. 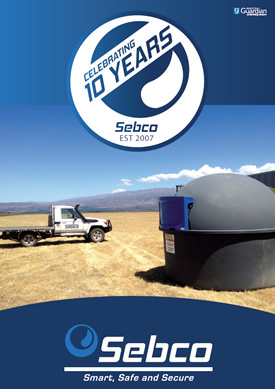 Sebco tanks are available directly from us or through your fuel supplier, delivered to your site North or South Island, NZ. To contact us for your new Diesel tank, Waste oil tank or Blue tank, Ph 0800 473 226 or go to our Contact Sebco page.